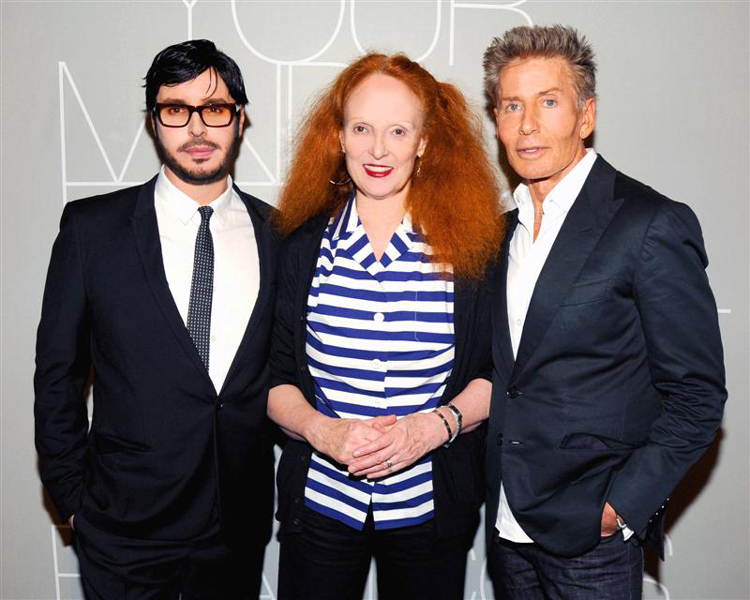 francois nars, american vogue editor grace coddington and calvin klein. 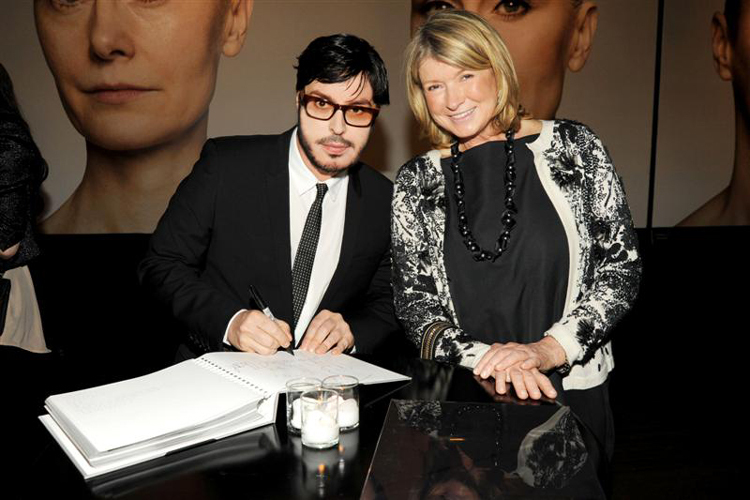 francois nars and martha stewart. fashion icons, celebrities and friends graced NARS with their appearance on this big day. here are a few images from the launch party, held at cedar lake contemporary ballet theater in new york for the launch of “makeup your mind: express yourself”. the interactive social media site, makeup your mind, was based on the instructional beauty bible by francois NARS with the same title. the site’s main purpose was to broaden the NARS audience and allow inclusive accessibility for every girl interested in beauty and glamour. users can follow the steps and upload their looks based on one of twelve looks by francois. the website is fully integrated with facebook, and users are encouraged to share images via twitter, blogger, email and various other social media channels to gain votes. the winner of this contest was awarded a grand prize that included an all-expense-paid trip to new york city for two (for our winner along with a friend) during fashion week in february 2012.
twelve additional special prizes went to participants with the most votes, in each of the 12 challenges available on the site. the special prizes included an exclusive gift set, created for the launch of the makeup manual, “makeup your mind: express yourself”. view all work related to this project.